The Switchbone V2™ gives you the ultimate control over your two or three-amp setup, with the ability to switch between amplifiers silently, eliminate buzz and hum, and activate a high-powered clean boost for soloing. 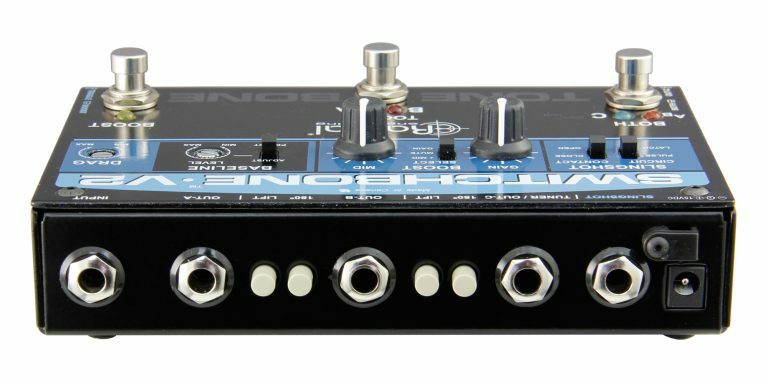 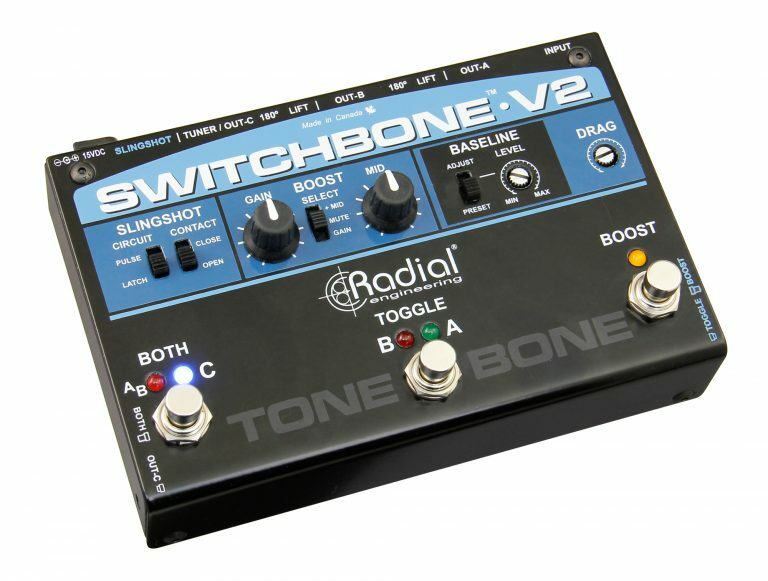 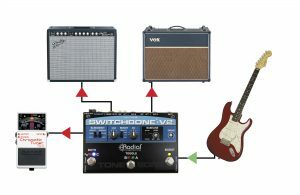 The Switchbone V2 may well be the ultimate guitar amp switcher. 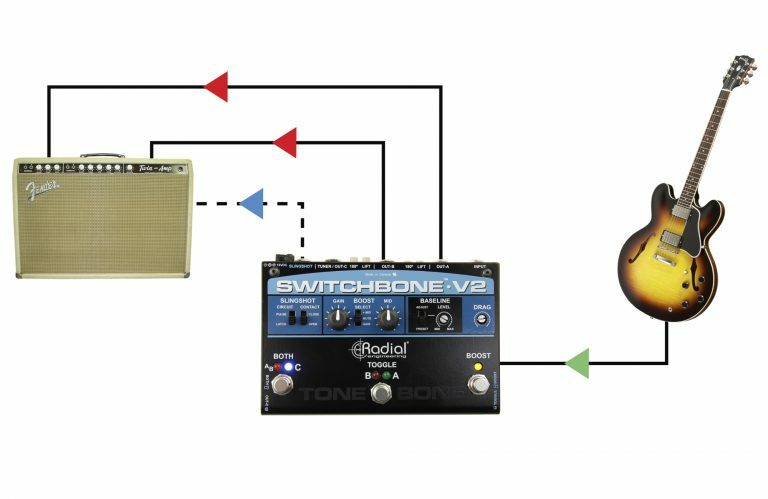 This device lets you switch and combine up to three guitar amplifiers without introducing distortion, switching noise, or hum into the signal path. 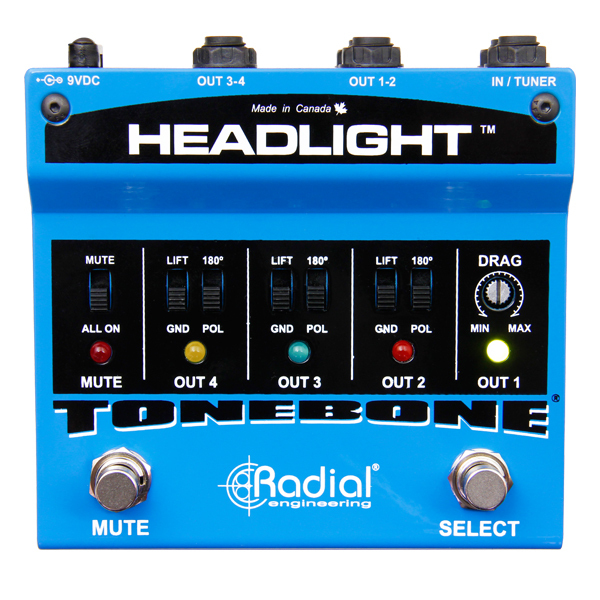 Most importantly, it will retain the natural tone and feel of your instrument so that your natural playing style shines through. 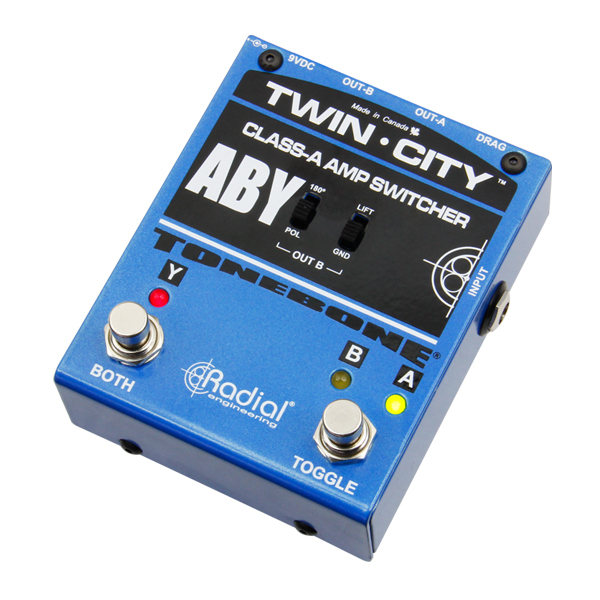 The Switchbone V2 may be used as a standard ABY switcher with both A and B outputs used separately or together, or the tuner output can be repurposed to feed a third amplifier. 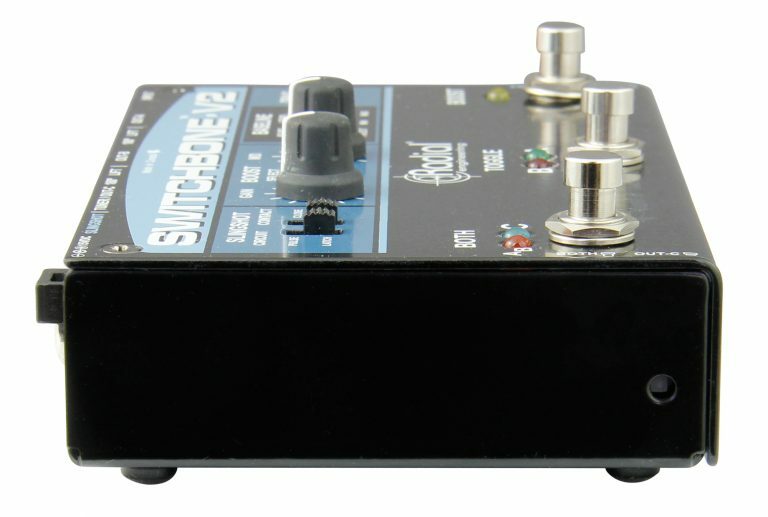 A built-in power booster at the output delivers up to +18db of ultra-clean boost with the option to add mid-boost for extra sustain when playing lead. 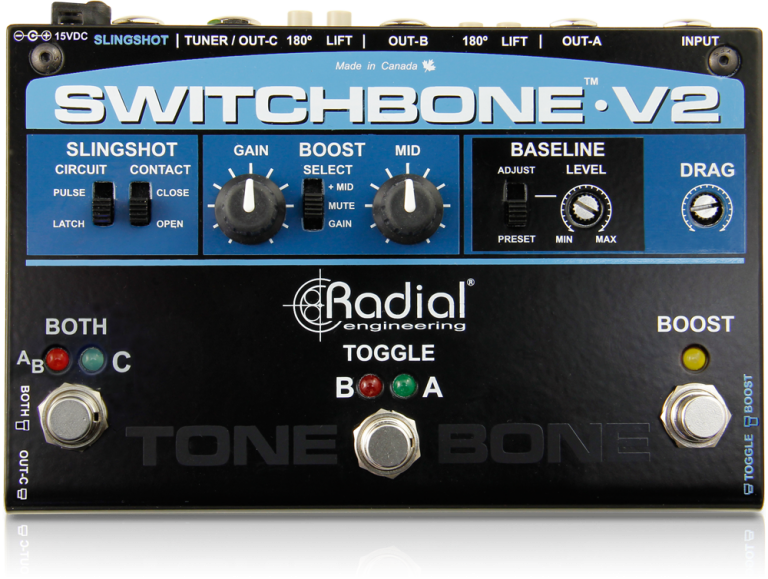 The Switchbone is a high performance ABY designed to deliver the natural tone of your instrument to your amps without introducing noise or artefact. 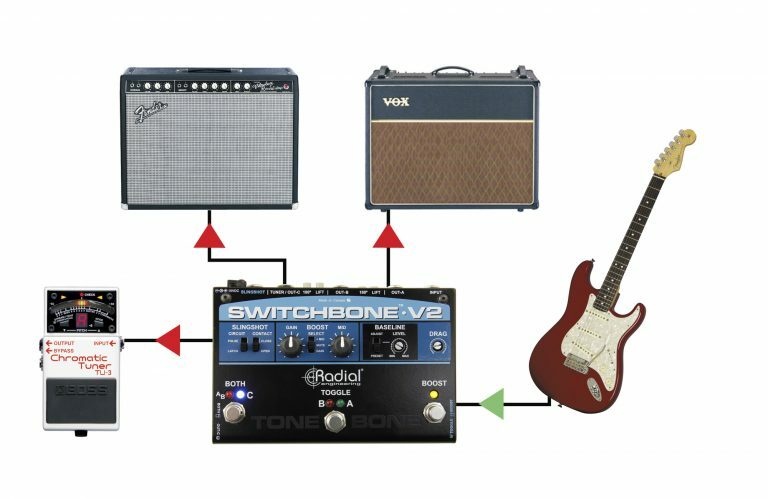 Use the tuner/out-C as a third output to select between three different amps. 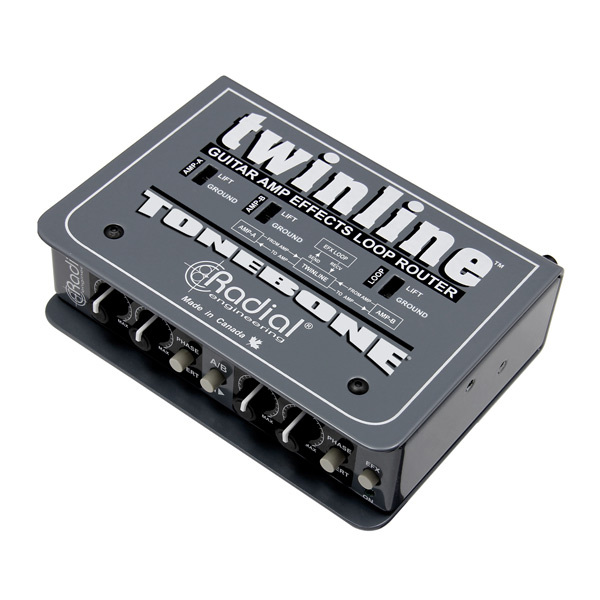 Transformer isolation and buffered outputs eliminate ground loops and noise. For older amps, the Switchbone can be used to drive the two amp channels so that you can toggle between them. Use the Slingshot output to control amp settings like reverb. 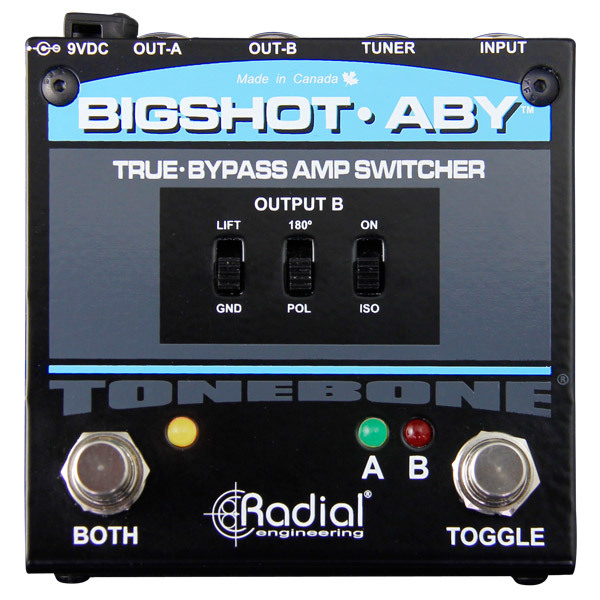 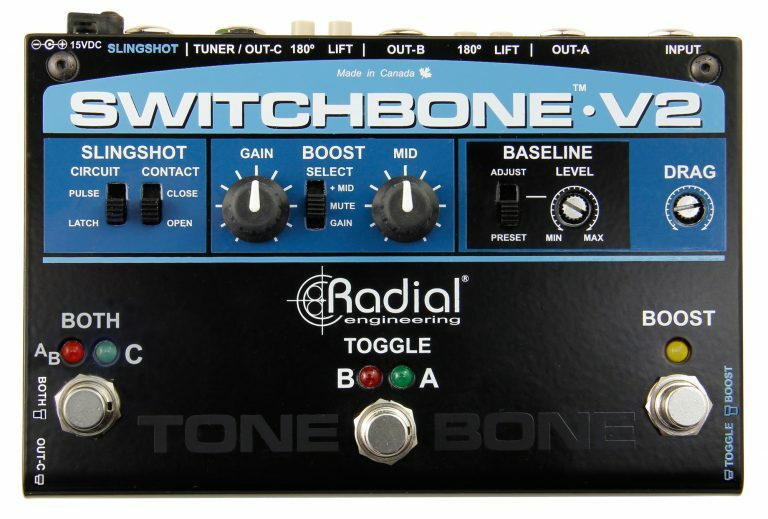 "The Radial Switchbone is a fantastic addition to my rig. 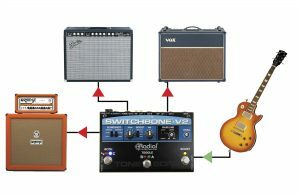 It allows me to run my two favorite amps at the same time without compromising my tone. The mid boost is the coolest feature. 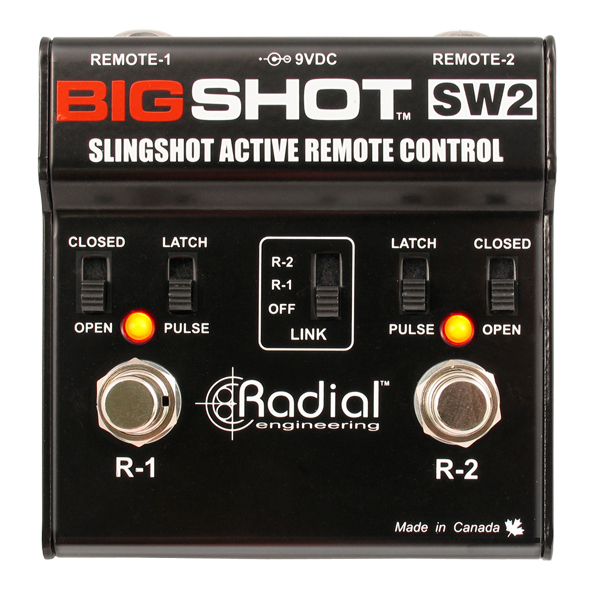 I turn it on when I need a lead to sing and sustain without thinning out my sound. 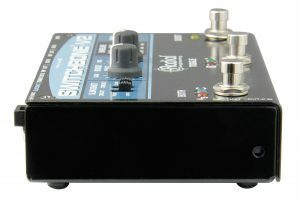 If only I had this pedal 20 years earlier!" 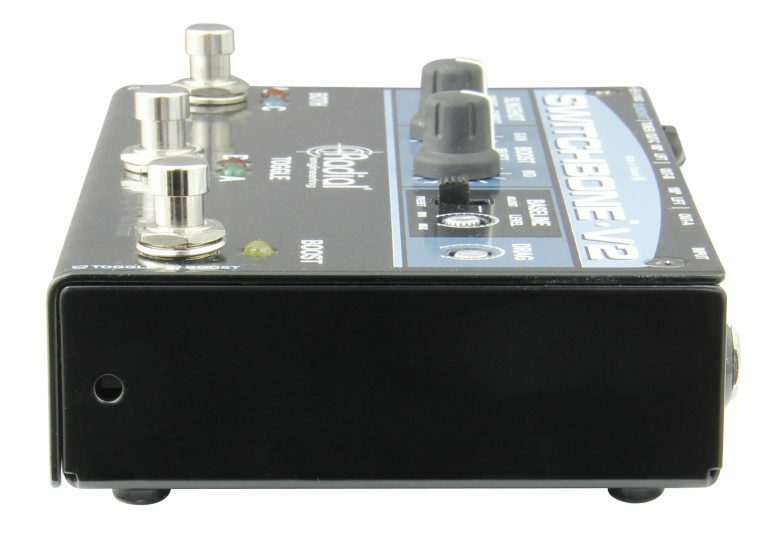 "For me, the key to a great pedal is its ability to be transparent when not engaged. 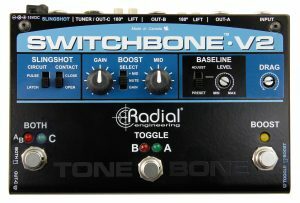 The Switchbone gives my rig plenty of options when called upon, but also stays out of the way when not! 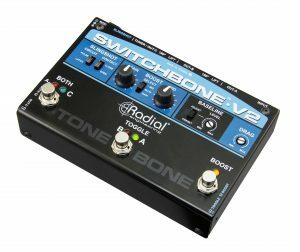 The Switchbone is amazing!"